NOVA kicks off the fall season with a return to Ground Zero to witness the final chapter in an epic story of engineering, innovation, and the perseverance of the human spirit. “Ground Zero Supertower” examines the new skyscraper, One World Trade Center, rising up 104 stories and 1,776 feet from the site where the Twin Towers once stood. NOVA also goes underground to see another engineering marvel taking shape here: the construction of the National September 11 Memorial Museum that will house almost a thousand artifacts from that devastating day. 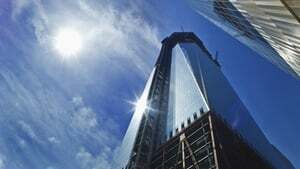 In this update of NOVA’s Emmy-nominated special “Engineering Ground Zero,” which featured extraordinary behind-the-scenes access to the struggles of the engineers and architects working at 1 WTC and the 9/11 Memorial, NOVA goes inside the construction of the tower’s final floors and the installation of its soaring, 408-foot spire and beacon. 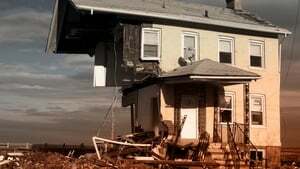 In October 2012, superstorm Sandy cut a path of devastation across the Caribbean and the East Coast, killing hundreds and doing tens of billions of dollars in damage. Now, one year after Sandy’s deadly strike, NOVA follows up on its 2012 film “Inside the Megastorm” with a fresh investigation of the critical questions raised by this historic storm: Was Hurricane Sandy a freak combination of weather systems? Or are hurricanes increasing in intensity due to a changing climate and rising seas? How can we gird cities against future storm surges? Join NOVA on a trip to the Netherlands, a country which has combined extraordinary engineering with natural landscape restoration to protect its low-lying cities from the sea. And meet climate scientists who are racing to understand how a warming world will affect extreme—but unpredictable—weather phenomena like hurricanes and tornadoes. What happens when scientists open up nature's toolbox? In "Making Stuff Wilder," David Pogue explores bold new innovations inspired by the Earth's greatest inventor, life itself. 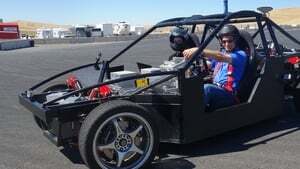 From robotic "mules" and "cheetahs" for the military, to fabrics born out of fish slime, host David Pogue travels the globe to find the world’s wildest new inventions and technologies. It is a journey that sees today's microbes turned into tomorrow’s metallurgists, viruses building batteries, and ideas that change not just the stuff we make, but the way we make our stuff. As we develop our own new technologies, what can we learn from billions of years of nature’s research? Cold is the new hot in this brave new world. For centuries we've fought it, shunned it, and huddled against it. Cold has always been the enemy of life, but now it may hold the key to a new generation of science and technology that will improve our lives. In "Making Stuff Colder," David Pogue explores the frontiers of cold science from saving the lives of severe trauma patients to ultracold physics, where bizarre new properties of matter are the norm and the basis of new technologies like levitating trains and quantum computers. The world has always been a dangerous place, so how do we increase our odds of survival? 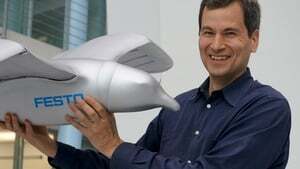 In "Making Stuff Safer," David Pogue explores the cutting-edge research of scientists and engineers who want to keep us out of harm’s way. Some are countering the threat of natural disasters with new firefighting materials and safer buildings. Others are at work on technologies to thwart terrorist attacks. A next-generation vaccine will save millions from deadly disease. And innovations like smarter cars and better sports gear will reduce the risk of everyday activities. We’ll never eliminate danger—but science and technology are making stuff safer. 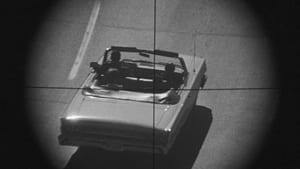 For decades, the assassination of John F. Kennedy has fueled dark rumors of conspiracies and mishandled evidence. Now, fifty years later, NOVA asks: Could modern investigators do better? We’ll see how state-of-the art forensic tools would be applied to the investigation were it to happen today. At the same time, NOVA takes a critical look at contemporary cases, like the murders of Nicole Brown Simpson and Ronald Goldman, to reveal how charges of evidence mishandling and human error can mar even scientifically sophisticated detective work. Between the blue sky above and the infinite blackness beyond lies a frontier that scientists have only just begun to investigate. 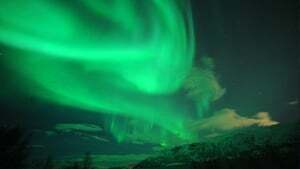 In "At the Edge of Space," NOVA takes viewers on a spectacular exploration of the Earth-space boundary that's home to some of nature's most puzzling and alluring phenomena: the shimmering aurora, streaking meteors, and fleeting flashes that shoot upwards from thunderclouds, known as sprites. Only discovered in 1989, sprites have eluded capture because they exist for a mere split-second—40-times faster than an eye blink. NOVA rides with scientists in a high-flying weather observation plane on a hunt for sprites, finally snaring them in 3D video and gaining vital clues to unraveling their mystery. Combining advanced video technology with stunning footage shot from the International Space Station, "At the Edge of Space" probes the boundary zone and offers an entirely new perspective on our home planet. 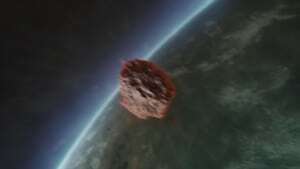 Episode 9 - Asteroid: Doomsday or Payday? The asteroid that exploded over Siberia—injuring more than 1,000 and damaging buildings in six cities—was a shocking reminder that Earth is a target in a cosmic shooting range. From the width of a football field to the size of a small city, these space rocks have the potential to be killers. 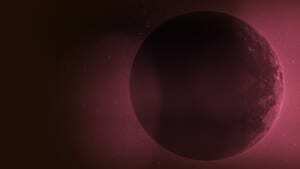 In a collision with Earth, they could set off deadly blast waves, raging fires and colossal tidal waves. But some audacious entrepreneurs look up at asteroids and see payday, not doomsday. Some asteroids are loaded with billions of dollars’ worth of elements like iron, nickel, and platinum. NASA is planning an ambitious mission to return samples from a potentially hazardous asteroid, and would-be asteroid miners are dreaming up their own program to scout for potentially profitable asteroids. Will asteroids turn out to be our economic salvation—or instruments of extinction? 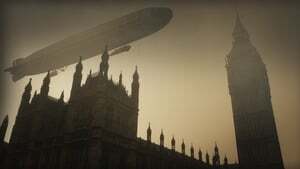 NOVA investigates the technology behind the World War One Zeppelin bombing campaigns, both the airships themselves and the weapons used to try to bring them down. It was the strongest cyclone to hit land in recorded history. On November 8, 2013, Typhoon Haiyan slammed into the Philippines, whipping the low-lying and densely-populated islands with 200 mph winds and sending a two-story-high storm surge flooding into homes, schools, and hospitals. It wiped villages off the map and devastated cities, including the hard-hit provincial capital Tacloban. Estimates count more than 5,000 dead and millions homeless. 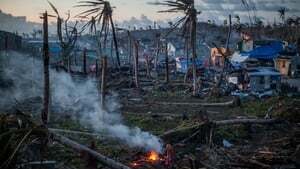 What made Haiyan so destructive? Meteorologists charged with tracking Pacific storms reveal why the Pacific is such fertile ground for cyclones, and NOVA’s film crew documents how conditions dramatically deteriorated in the storm’s aftermath, as impassable roads and shuttered gas stations paralyzed the critical relief effort, leaving food, water, and medicine to pile up at the airport. Disaster preparedness experts scramble to understand why the Philippines was so vulnerable. As climate change and sea level rise threaten millions of the world’s most impoverished people with stronger, and perhaps more frequent, storms, how can we prepare for the next monster typhoon? In the rolling hills of Ireland's County Tipperary, a laborer harvesting peat from a dried-up bog spots the remnants of a corpse and stops his machine just in time, revealing a headless torso almost perfectly preserved and stained dark brown by the bog. 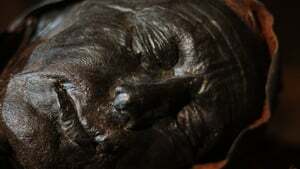 Archeologists recognize the corpse as one of Europe's rare bog bodies: prehistoric corpses flung into marshes with forensic clues often suggesting execution or human sacrifice. The corpse will eventually be dated to the Bronze Age, over 3,000 years ago. Many of these were victims of shocking violence, showing evidence of axe blows, hanging, and stab wounds. Like a crime thriller, NOVA follows archaeologists and forensic experts in their methodical hunt for clues to the identity and the circumstances of this and other violent deaths of bog body victims. A new theory emerges that they are those of ritually murdered kings, gruesomely slain to assure the fertility of land and people. NOVA’s ancient detective story opens a tantalizing window on the strange beliefs of Europe's long vanished prehistoric peoples. Beneath the streets of Rome lies a city of the dead known as the Catacombs—a labyrinth of tunnels, hundreds of miles long, lined with the neatly laid out tombs of the citizens of ancient Rome. Here, in 2002, maintenance workers fixing a broken water main stumbled upon a previously unknown burial chamber like none other in the complex. It was a mass grave of hundreds of bodies spread across six roughly carved caverns, locked away for nearly 2000 years. Who were these people? And can we discover, after all these centuries, what killed them? 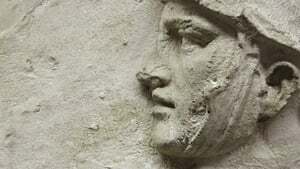 Could they be Christian martyrs massacred by the Emperor? Or were they felled by a deadly plague? In “Roman Catacomb Mystery,” NOVA’s forensic investigation follows a trail of ancient clues to uncover new secrets of life, death, and disease in the heyday of a mighty empire. The dome that crowns Florence’s great cathedral of Santa Maria del Fiore—the Duomo—is a towering masterpiece of Renaissance ingenuity and an enduring source of mystery. Still the largest masonry dome on earth after more than six centuries, it is taller than the Statue of Liberty and weighs as much as an average cruise ship. 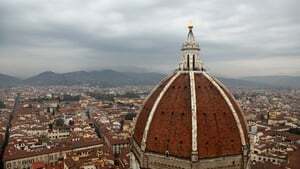 Historians and engineers have long debated how its secretive architect, Filippo Brunelleschi, managed to keep the dome perfectly aligned and symmetrical as the sides rose and converged toward the center, 40 stories above the cathedral floor. His laborers toiled without safety nets, applying novel, untried methods. Over 4 million bricks might collapse at any moment—and we still don’t understand how Brunelleschi prevented it. To test the latest theories, a team of U.S. master bricklayers will help build a unique experimental model Duomo using period techniques. Will it stay intact during the final precarious stages of closing over the top of the dome? Over the last few centuries we have shot, trapped, and skinned the predators that formerly thrived at the top of the food chain in the wild. Wild bears, wolves, and big cats are all in retreat, and a growing number of scientists are discovering that by eliminating predators, we have changed the environment. Removing predators from the wild has thrown ecosystems off-kilter, triggering domino effects that scientists are just beginning to understand. In "Wild Predator Invasion," NOVA follows scientists who are trying a simple but controversial solution: returning apex predators—like wolves, bears, and panthers—to their natural environments. Can these newly reintroduced predators restore the natural balance of their ecosystems without threatening the humans who live among them? When it comes to intelligence, we humans are clearly the most gifted animals around. But what make us so special? Is it our ability to make and use tools? To solve complex problems? Or plan for the future? It might seem that way, but today, researchers are discovering other creatures with impressive brains that have mastered all those skills. Surprisingly, many are bird brains. Crows bend and shape sticks to create custom-made spears for hunting grubs, and they are just one among a growing list of bird species whose impressive problem-solving abilities are shocking scientists and revolutionizing our understanding of animal intelligence. 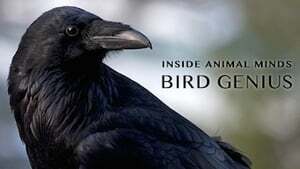 At the head of the class, we meet animals like Muppet, a cockatoo with a talent for picking locks; 007, a wild crow on a mission to solve an eight-step puzzle for the first time ever; and Bran, a tame raven who can solve a puzzle box so quickly that his performance has to be captured with high-speed photography. But are these skills really evidence of high intelligence, or just parlor tricks, the result of training and instinct? To find out, NOVA tests the limits of some of the planet’s brainiest animals, searching for the secrets of a problem-solving mind. What is it like to be a dog, a shark, or a bird? Long the subject of human daydreams, this question is now getting serious attention from scientists who study animal senses. The senses define our experience of the world—they shape our minds, and help make us what we are. 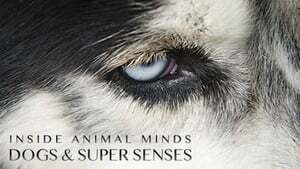 Humans rely on smell, sight, taste, touch, and sound, but other animals have super-powered versions of these senses, and a few, like electrically-sensitive sharks, even have extra senses we don’t have at all. 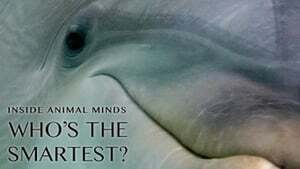 From a dog who seems to use smell to tell time, to a dolphin who can "see" with his ears, we will discover how animals use their senses in ways we humans can barely imagine. But it’s not just the senses that are remarkable—it's the brains that process them. How does a swallow’s tiny, one-gram brain take in the flood of visual information that enables the bird to whiz within inches of buildings while flying at 40 miles per hour? How does a dog’s mind turn the sight of a hand signal into the happy anticipation of a treat? How has the evolution of the dog—from its wolf ancestors–reshaped its brain? NOVA goes into the minds of animals to “see” the world in an entirely new way. Episode 19 - Inside Animal Minds: Who's the Smartest? What makes an animal smart? What forces of evolution drive brains to become more complex? 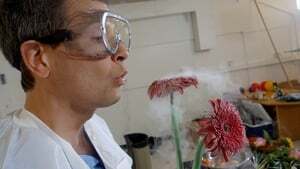 Many scientists believe the secret lies in our relationships. Throughout the animal kingdom, some of the cleverest creatures—including humans—seem to be those who live in complex social groups, like dolphins, elephants, and apes. Could the skills required to keep track of friend and foe make animals smarter? To find out, NOVA goes inside the social lives of some of the smartest animals on the planet. Off the coast of Florida, we see dolphins team up to catch fish by whipping up a wall of muddy water that drives the meal right into their companions’ waiting mouths. It seems that the dolphins are working together to plan their hunt. But are they really? Biologists go on a quest to decipher the secrets of animal societies, from the seas of the Caribbean to the plains of Africa. Do dolphins and elephants have “language?" Do chimps have a sense of fairness? And are any animals besides ourselves capable of feeling empathy? 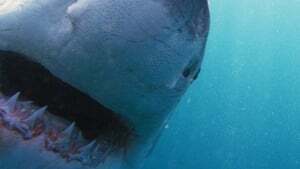 In recent years, an unusual spate of deadly shark attacks has gripped Australia, resulting in five deaths in ten months. At the same time, great white sharks have begun appearing in growing numbers off the beaches of Cape Cod, Massachusetts, not far from the waters where Steven Spielberg filmed the ultimate shark fright film, Jaws. What's behind the mysterious arrival of this apex predator in an area where they've rarely been seen for hundreds of years? 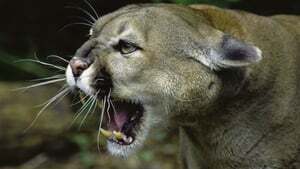 Are deadly encounters with tourists inevitable? To separate fact from fear, NOVA teams up with leading shark experts in Australia and the United States to discover the science behind the great white's hunting instincts. Do sharks ever target humans, or is each attack a tragic case of mistaken identity? And can a deeper understanding of shark senses lead scientists to design effective deterrents and help prevent future attacks? Colditz Castle, a notorious prisoner of war camp in Nazi Germany, was supposed to be escape-proof. 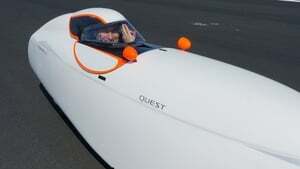 But in the dark days at the end of World War II, a group of British officers dreamt up the ultimate escape plan: in a secret attic workshop, they constructed a two-man glider out of bed sheets and floorboards. Their plan was to fly to freedom from the roof of the castle, but the war ended before they could put it to the test. Now a crack team of aero engineers and carpenters rebuild the glider in the same attic using the same materials, and they’ll do something the prisoners never got a chance to try: use a bathtub full of concrete to catapult the glider off the roof of the castle. As the hair-raising launch 90 feet up draws near, the program explores the Colditz legend and exposes the secrets of other ingenious and audacious escapes. Then, after a 70-year wait, the team finally finds out if the legendary glider plan would have succeeded. On June 6, 1944, the Allies launched the biggest armada in history to invade the Normandy beaches and liberate Europe from the Nazis. In less than 24 hours, more than 5,000 ships crossed the English Channel, along with thousands of tanks and landing craft and nearly 200,000 men. Throughout the operation, hundreds of ships sank running the gauntlet of mines and bunkers, creating one of the world's largest underwater archaeological sites. 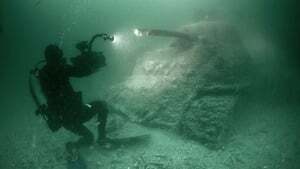 Now, NOVA has exclusive access to a unique collaboration between military historians, archaeologists, and specialist divers to carry out the most extensive survey ever done of the seabed bordering the legendary beachheads. Dive teams, submersibles, and underwater robots will discover and identify key examples of Allied craft that fell victim to German shellfire, mines, and torpedoes, using the latest 3D-mapping tools to plot the relics on the sea floor. Highlighting the ingenious technology that helped the Allies overcome the German defenses, and featuring first-hand accounts from Allied veterans who have returned to the site of this epic battle to share their harrowing stories, "D-Day's Sunken Secrets" unfolds a vivid blow-by-blow account of the tumultuous events of D-Day and reveals how the Allies' intricate planning and advanced technology assured the success of the most ambitious and risky military operation ever launched.